Alex Bead Bash has everything you need to make lots of beautiful pieces of jewelry. 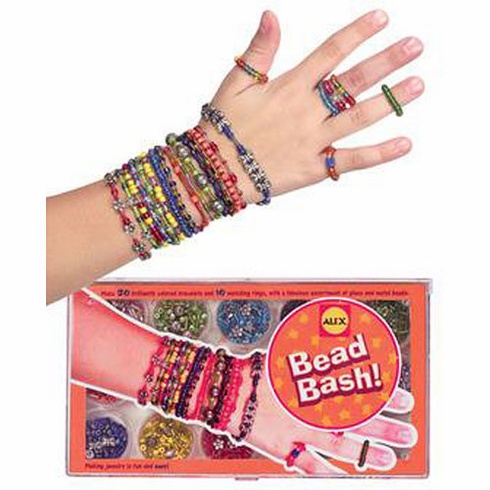 This beading kit has a wide assortment of colorful glass and metal beads. It comes with enough materials to make 30 bracelets and 10 matching rings.